Yeah! 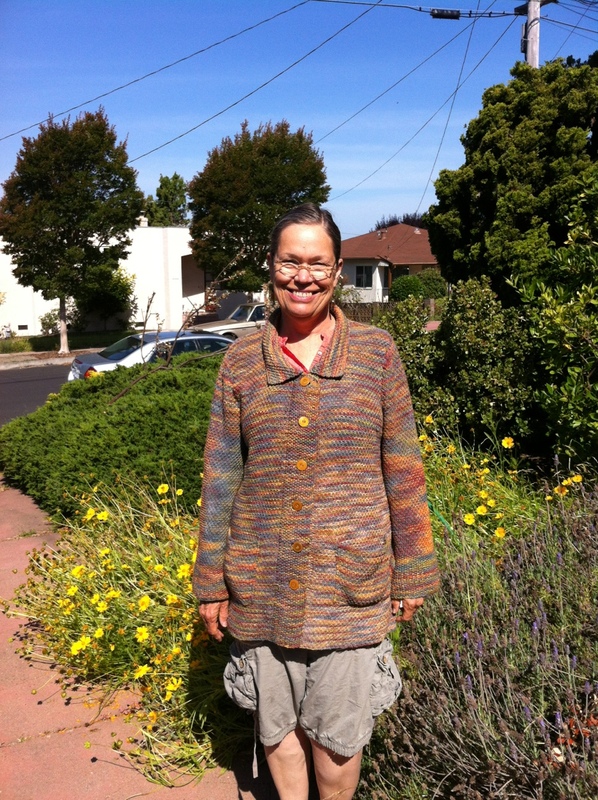 Maurie is back wearing her newly finished sweater jacket! Details to follow. Hi there …. I’ve updated the post with yarn used…and the pattern is in the book “japanese Inspired Knits. Good luck!